IDC's "Distribution and Marketing" panel, moderated by Joe Kennedy, West Coast sales director of ITEL, presented the audience with a look at the challenges and pitfalls of distribution. Geoff Gilmore, director of film festival programming and special projects at the Sundance Institute, observed that the theatrical­ distribution situation facing feature documentary films in the United States has been "fraught with crisis for the past 50 years—as opposed to something that's hitting right now." While most films that find distribution do so through nontheatrical channels, some do find theatrical release. The first consideration for documentarians is to determine where their audience is. Does your film have interest to a wide international audience? The independent filmmaker must realize what slots are available to him or her. Most countries don't have 20 channels available—they might have two or three or occasionally six. 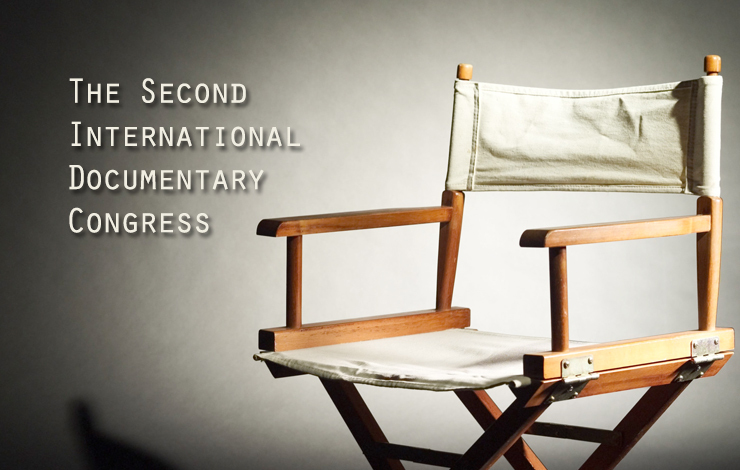 Documentary programming is on the fringes of the schedule in most countries; documentaries don't dominate primetime. Should the filmmaker use a distributor at all? You should give it serious consideration "unless you're really prepared to go out into the theatrical marketplace and into the video and broadcast marketplace," commented Gilmore, "and prepared to spend about a year learning how to deal with that marketplace, and then I can almost guarantee you trying to collect the money that's owed you is a very interesting process... Most people don't understand that distribution companies have an incredibly difficult time collecting the money that's owed them. One of the ways they manage to do it is the leverage of the next film they're bringing out." A filmmaker distributing only one film doesn't have that leverage. Films such as Hoop Dreams are very much the exception to the rule regarding how documentary films are distributed in the United States. Linda Ekizian, vice president of sales for Devillier Donegan Enterprises, added that "it's quite dramatic what a distributor can do for you: writing contracts, collecting money, shipping tapes, shipping cassettes, photocopying scripts, getting out photos. There is an enormous amount in the field of distribution that has to do with servicing, and from the buyer's point of view, they absolutely want the guarantee that the film they loved seeing is a film they know can be delivered on time, in good condition, with all of the warranties, indemnities, and all of the music cleared, the footage cleared. They don't want to be sued, and we don't want to be sued, and you don't want to be sued." ITEL's Kennedy noted that it's helpful for the filmmaker to know how many others are working on similar projects—information that a good distributor has at hand and a filmmaker working in isolation may not. While all on the panel—filmmakers and distributors alike—acknowledged the challenge in finding a distributor, all agreed that securing the right distributor is crucial to bringing the filmmaker's documentary to as wide an audience as possible. The panel emphasized that the filmmaker should be aware of the demographics governing the primary markets for documentaries in the United States. The Arts & Entertainment Network's average audience is 60 to 65 years old; the Discovery Channel is designed to appeal primarily to a 25- to 52-year-old male audience. Home Box Office, on the other hand, a premium channel, strives to bring its much broader audience controversial or sensational product that can't be found elsewhere and thus has little interest in, say, historical or nature documentaries. The "Distribution and Marketing" panel left IDA attendees with a clear, simple strategy: create projects that meet the demands of the marketplace, know your audience, and seek out the best distribution to service that audience.